Similar to the bleep test, the Yo-Yo intermittent recovery test is a standardised fitness test you can do to test your fitness levels. It combines short intensive runs with brief recovery periods, which gives it a good level of realism to the fitness requirements of intermittent sports and makes it the fitness test of choice for soccer (especially 5-a-side / futsal). Here’s what it’s all about and how you can test yourself. Essentially the Yo-Yo intermittent recovery test is a way to measure your ability to perform repeated interval runs over a prolonged period of time. The difference between this test and the classic beep test is that instead of running continuously back and forward over the allotted distance, you get a brief pause between each set of shuttles – giving it the name ‘Yo-Yo test’. Other than being the item from which it gets its name, the Yo-Yo fitness test has nothing to do with one of these – instead, it’s about doing shuttle runs until you want to cry! Two Types of Yo-Yo Test? You might hear about two types of test: the Yo-Yo Intermittent Recovery Test and the Yo-Yo Intermittent Endurance test. The former of these two has a 10 second break after each 2 x 20m sprint, and the latter only gives you 5 seconds making it a bit closer to the classic beep test. The one you want to be doing to test your fitness for 5-a-side is the Yo-Yo Intermittent Recovery Test as it better mirrors the way that you get short breaks followed by runs at higher intensity. Just to confuse matters a little more there are two grades of Yo-Yo Intermittent Recovery Test: Level 1 (“IR1”) and Level 2 (“IR2”). They’re set up the same, other than level 2 starts at a speed of 13km/h whereas level 1 starts at 10km/h. They both progress upwards in speed as the test progresses. The Level 1 test determines an individual’s ability to recover from repeated exercise while testing your aerobic system to the max. The Level 2 test requires a high contribution from the anaerobic system so is a different measure of fitness. Our advice is to start with the level 1 (IR1) test and that’s what’s covered in everything below. How do you perform the Intermittent Recovery Test? Starting on or behind the 5m marker (B), the participant begins running 20m towards marker (C) when instructed by the audio track. Upon reaching that marker and hearing a ‘beep’, the participant turns and returns to the starting point (B) before the next ‘beep’. After reaching (B), an ‘active recovery period’ begins where the participant has 10 seconds to walk or jog to marker (A) and set themselves back at marker (B) ready to begin the next 2x20m shuttle when instructed by the audio track. When the participant is unable to return to marker (B) within the allocated time they receive a warning. The next time they miss this target, that’s the end of their test and a final score should be recorded. Markers and measuring tape to set up a 5m and a 20m distance. It’s very important to get this distance measured accurately as even a small under/over measurement can affect results drastically. Because measuring the correct distance is so crucial to the accuracy of your results, we suggest using an inexpensive long measuring tape to mark out your distance, or find an area already marked, such as an athletics track. Audio recording – It’s not easy to find the audio track for the intermittent recovery test. In fact, it is going to take you a little bit of clever searching. However, the IR1 audio track is on YouTube – you should be able to work out how to download this as an MP3 (hint: do a search for Youtube to MP3 converter). Wherever you find the track, just make sure that it’s the right one and calibrates in line with the table below or you’re doing the wrong test (it should start by saying “this is the Yo-Yo intermittent recovery test level 1). An even surface with no obstructions. Anywhere will do, indoors, on grass, on concrete, as long as it’s flat and you can turn without risking injury. Comfortable sports shoes with sufficient grip. How long does it take and how far will I run? The test has 91 shuttles and goes on for just under 29 minutes. However, almost nobody is going to make it to the end of the test. For most relatively fit people the test will take between 10 and 20 minutes, and in that time you’ll do shuttle runs covering between 1.2 and 2.5km. Scores are either measured in distances (metres) or you will also hear people referring to levels, as the audio track does. These levels are not totally straight-forward as it starts at level 5 and then jumps up to level 9 straight after that. The way to ensure that you have both your level and time is to use the following Yo-Yo intermittent recovery level 1 reference table. It’s very large, so click on it to enlarge, or see the pdf at the bottom of the page. What level should you aim for? The level you should aim for depends on what standard of soccer you are trying to play. Studies have shown that the more competitive the level of soccer you’re trying to play, the higher the fitness requirements are and of course the higher the score achieved by the player. ‘Top elite players’ refers to those players fit to play international standard soccer, whereas ‘moderate elite players’ would be playing a level below that. ‘Sub-elite players’ would be found in the semi-professional ranks and recreational players are the majority of people reading this site, those who play casually as a hobby. So, as a minimum you should look to work towards achieving recreational standard – if you’re a man that’s 1,200m. However, what the results clearly show is that greater fitness capacity is a key requirement for playing at a higher standard. If you can raise your fitness levels to ‘moderately trained’ or ‘sub-elite player’ standards (level 18) then you are on your way to being able to dominate the 5-a-side or Futsal court when playing against amateurs. Of course, if you don’t reach your desired level initially, take that as a cue to improve your fitness (why not see our article ‘14 Essential Secrets to Getting Fit for Futsal / 5-a-side‘) then come back and try again. Alternatively, there might be some shortcuts you can take – see our 8 tips to improving your score. Skip down to the video section if you want to see a professional soccer team performing this test. We’ve covered the classic Leger beep test already (it’s similar to the Yo-Yo test, but shuttles are performed continuously without a recovery period), and it remains a good way to test your fitness and estimate your VO2 max (your maximum rate of oxygen consumption during exercise). The Intermittent Recovery Test is replacing the classic Leger Beep Test as the test of choice for soccer. However, VO2 max, though it is useful for gauging an individual’s fitness for an exercise such as running on a treadmill, it is only partly relevant to intermittent sports such as football, basketball and in particular 5-a-side soccer or Futsal. So whilst the classic Leger beep test might be a great test for marathon runners, its relevance has been questioned in relation to these intermittent sports. In fact, one particular study (referenced by Bangsbo et al (2008)) showed that 16 moderately trained marathon runners who ran marathons in an average time of 3 hours and 12 minutes (fairly impressive!) scored 20% below the level observed for sub-elite soccer players on the Intermittent Recovery Test Level 1. So whilst marathon runners will probably beat the soccer players in a marathon, they can’t keep up with the soccer players when it comes to the Yo-Yo test. You might find that surprising, but it just goes to illustrate that there’s a different type of fitness needed for soccer, which is more about intermittent bursts. Your ability to perform these intermittent bursts is exactly what the Yo-Yo test measures, which gives it the upper hand over the classic beep test. Studies performed (by Bangsbo et al (2008)) have shown that the Yo-Yo tests are a better way to gauge an individual’s ability to perform repeated intense exercise than by using a pure measure of VO2 max. The bottom line is that the classic Leger beep test now looks to be the more the domain of the endurance athlete whist the Yo-Yo test is most definitely the test you want to be doing to measure your soccer fitness. This is a great video of Coventry City Football Club performing the Yo-Yo Intermittent Recovery Level 1 test. The test its self does not actually start until 1 minute in – what they do before that is a brief warm-up (and we suggest that you do the same before taking your test). The other point to note is that this is edited down, so you don’t see them go from each and every level, which is a good thing as there really is not much to see in the early levels. In case you don’t know, Coventry City are a professional 11-a-side team. They did this test on their first day of pre-season training at the beginning of the 13/14 football season where they played in the English ‘League One’ (which is the 3rd tier of English Football). The scores are really fantastic, especially when you consider that they have all just returned from the off-season break. None of the players drop out until level 18.2 and the top score achieved is at an incredible level 22.7 – that’s definitely elite level. If you want to see the test uninterrupted and unedited, this guy has given it a very good go (it’s also another video you can download the audio track from). If you want to know how you can perform your best on this test, see our 8 tips to get your highest score on the yo-yo test. 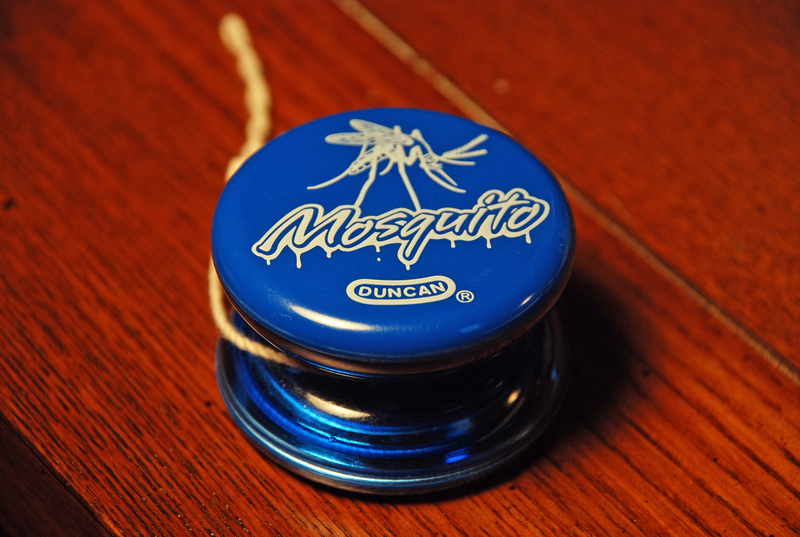 8 tips to improve your yo-yo test score – simple tips to help you set a new personal best. 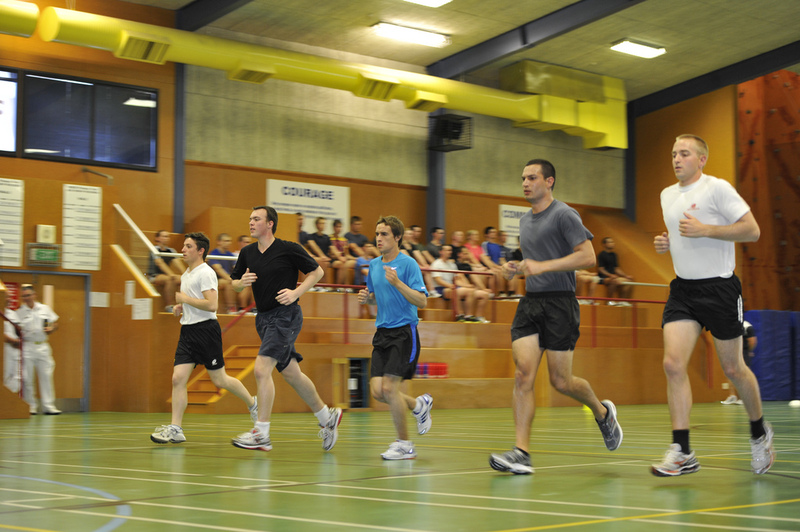 The Beep Test- a Comprehensive Guide – the classic Leger Test explained. Find out what top Futsal players scored. The physical and mental benefits of 5-a-side – why it’s a great game for your wellbeing.